Right out of the shoot there is some disagreement about where Frederick was born. Most sources say it was Cincinnati, Ohio, but I found another that suggested it might have been Covington, KY. Either way, he was orphaned at a very young age. His mother abandoned him, and by the age of seven, his father could not care for him and sent him to live with a Catholic priest in Kentucky. His father died a couple of years after that. Frederick left school after the sixth grade and went back to Cincinnati. He made a living cleaning. At age fourteen he started working for an automobile repair shop. Frederick never went back to school. Everything he ever learned about engineering, mechanics, and machines he either came up with himself, learned from watching others around him, or by reading voraciously. A big shout out to the importance of having access to public libraries. Jones let the winds of life blow him where they would as he sought to build a life for himself despite the difficulties in advancing in a job as an African American. In 1912, Jones moved to Hallock, MN to work on a 50,000-acre farm as a mechanic. He served in WW I and returned to Minnesota when the war ended. He took another job as a mechanic. He taught himself about electronics and built a transmitter for the town’s new radio station. Jones then built a device to combine sound with moving pictures. This invention attracted the attention of a fellow named Joseph A. Numero, who hired Jones to improve the sound equipment he sold at his company Cinema Supplies Inc.
Then, in 1938, Jones did something that changed how the entire world works. He designed and patented a portable cooling unit for trucks. Before 1938, the only way people could transport perishable things from place to place was to pack as much ice in as possible, move as fast as possible, and pray. Long distance shipping was out of the question. The inspiration for this invention has several different versions of the same story. It may be an urban legend or it might be true. Either Jones was speaking directly to a farmer who’d lost a shipment of chickens because the ice melted before he could get his meat to market, or it was a rich farmer talking about all the times he’d lost produce, or it was a farmer over a drink or a farmer on a golf course, or it was Numero’s friends and Jones wasn’t there at all…take your pick. In any case, after hearing this story, Jones got the idea to try and create a truck that could keep things cold. Jones portable colling unit upended how everything – and I am not being hyperbolic – everything that must remain cold could move from one place to another. In 1940, Joseph Numero sold his company with the improved sound equipment Jones had engineered to RCA. With that money, Numero and Jones formed a partnership and opened a company called The US Thermo Control Company. You might recognize it by its current name: Thermo King. There is no way to stress how drastically Frederick McKinley Jones changed the world. It changed the way we shipped supplies and medicine during the war. Today, portable refrigeration is a critical part of the world’s infrastructure. Frederick McKinley Jones was widely recognized and acclaimed during his lifetime, and he actually saw a financial gain from his inventions during his lifetime. Over the course of his long life of inventing, Jones was awarded 61 patents in the areas of refrigeration, portable x-ray machines, sound equipment, and gasoline engines. In the 1950’s he consulted with the Department of Defense and Bureau of Standards. In 1961, he died of lung cancer. In 1977 he was elected into the Minnesota Inventors Hall of Fame. 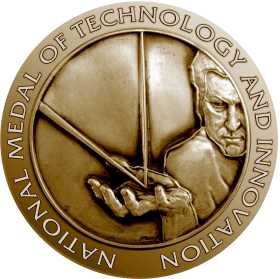 He was posthumously awarded the National Medal of Technology in 1991 – The first African American to ever receive that award. 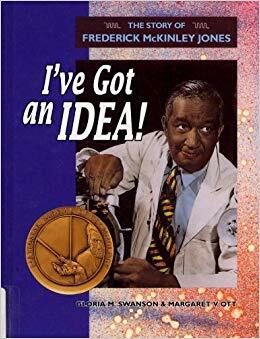 So, the next time you buy some delicious but perishable seasonal fruit from halfway around the world, dine on a delicious piece of Kobe beef in America, have to take medicine that says, “Keep Refrigerated” on the back of the bottle, or pass a refrigerated truck of any kind on the highway, say a thank you to Frederick McKinley Jones.